RBTH presents a selection of views from leading Russian media on international events, featuring news that Russia may act to limit Turkish participation in its construction industry in response to Turkey’s “aggression,” as well as a request by Russian film makers for state support against Western movies, and anti-terrorist recommendations being issued to restaurants and shopping malls in Moscow. The online newspaper Gazeta.ru writes that as a response to Turkish “aggression” (the shooting down of a Russian jet on Nov. 24) Russia may limit the activities of Turkish construction companies, which still participate in many important projects. According to many Russian constructors, Turkish companies have been present on the market since the 1990s and have been able to occupy leading positions. 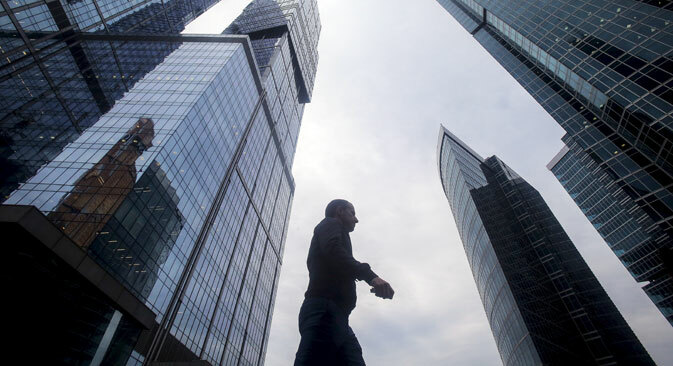 The largest among them are Enka, Renaissance Construction and Ant Yapy, which were involved in high-profile projects such as the Moscow-City business center and the reconstruction of the State Duma building. However, lately Turkish companies have barely been participating in government contracts, which currently have been going to mostly state-loyal domestic constructors. An exception is the Turkish company ESTA Construction, which is the general contractor of the new Krasnodar Arena soccer stadium. The contract is estimated to be worth 10 billion rubles ($150,000). Turks are still active in the construction of commercial buildings. Sergei Dolzhnikov, director of the Expert Engineering Company, says that a series of Russian developers works exclusively with Turkish constructors. In particular, Renaissance Construction participated in the construction of the first tower in Moscow-City, the Federation Tower, and is continuing to build skyscrapers on this platform. It is still not clear how to remove Turkish companies from the Russian market, given the large number of projects they are involved in, without incurring losses. The RBK daily reports that several Russian film producers have written a letter to the Russian Culture Ministry asking for support with New Year's premieres. They are afraid that their holiday screenings may suffer due to the western films coming out in that period. The letter to the ministry has been signed by the directors of Russia's largest film companies, including Fyodor Bondarchuk and Dmitry Rudovsky's Art Pictures, Timur Vainstein's VaiT Media and Georgy Shabanov's All Media. The document says that on Dec. 31 and Jan. 1 Russian film companies are releasing five films produced on state funds. But at the same time several foreign films are also expected to be released. The letter's authors point out that the dates of the western films' release differ from the dates of these films' world premieres. "It is very strange that American films are released in the U.S. on one day, but in Russia are conveniently moved to New Year because that period offers more viewers and therefore more chances to make a better profit. We believe that this is not very just," wrote Vainstein. The producers are asking the Culture Ministry to establish rules according to which foreign films would be released in Russia on the day of their world premiere. The New Year holiday is the period in which Russian viewers go to the cinema most, said Alexander Luzhin, executive director of Movie Research. The daily broadsheet Izvestia, after speaking with the head of the Moscow department of Trade and Services Alexei Nemeryuk, reportsthat all Moscow restaurants and shopping malls have received government recommendations concerning anti-terrorist security. Café employees will have to examine tables and chairs after the departure of each visitor, managers will have to inspect the unloading of all goods and large establishments are being advised to increase the number of guards. Nemeryuk believes that one of the most important recommendations is to study the profiles provided by candidates applying for positions in cafes and stores. "Managers need to see what kind of people they are, if someone has recently been in one of the Islamic countries for a long time." According to Nemeryuk, many catering and trade establishments themselves have "reacted harshly" to the intensifying international situation and the threats of international terrorism. Tamara Shesterina, general director of the Shokoladnitsa café chain, confirmed receiving a recommendation about a week ago. "We had been taking care of security before the note and implemented the measures it suggests. Now we are also checking the efficiency of the video surveillance system and the functionality of the emergency exits,” she said.